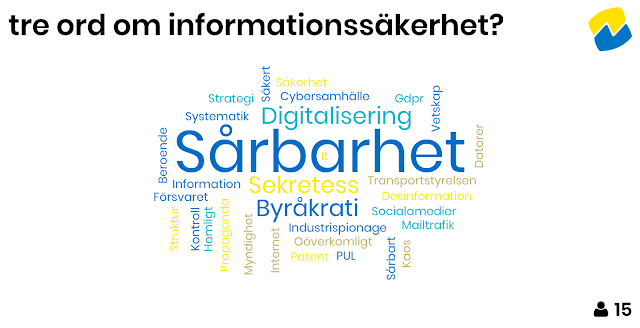 I was privileged to present a seminar on Risk Maturity and Information Risk at Mid Sweden University in Östersund. It was good to meet a mixed group from academia as well as practitioners. We talked about the importance of local ownership, not being dependent on that solo security expert on a pedestal. Security can become scalable if we foster a culture of risk maturity.